Women love shoes, that no one questions. But to parade power with them, the most important is to first think about the comfort and health of your feet, because them supports us all day. The most common problems that bother women are ingrown toenails, calluses, bunions, heel spurs, Achilles tendonitis, among others. To prevent or treat these problems, which are often accompanied by pain and difficulty walking, the output is to seek specialized care with doctors or podiatrists. Customers who come to the clinic complaining of ingrown toenail or onychocryptosis, an inflammation caused when the side edge of the nail grows and penetrates the skin. It can be caused by incorrect cutting, inappropriate footwear or the habit of poking the region. This causes the infection. To treat, it is recommended to not move on site, leaving the cut and the removal of the part stuck to a specialist if necessary, a doctor can prescribe medications and in some cases, the patient may need to use a stent one ‘unit’ it does pull the nail, for it to grow properly, when you cut the nails cut look straight in to prevent happens error cut and discomfort when the nail is growing. As in any other body part, the cleaning is essential. It should be well rub your feet in the bath, giving special attention to the nails and dry finger to finger after cleaning. Moisture can proliferate fungi and consequent emergence of fungal infections and odor. The mycoses are fungi that can contaminate the nails (onychomycosis) and the skin of the feet in contact with unsterilized material, use of public places such as bathrooms, swimming pools and beaches. Another factor that favors the emergence of mycosis is staying with wet feet and the use of enamel for a long time not leaving the nails breathe. As the ringworm on the nail and the skin may have color difference, but does not have symptoms such as itching, people often take to realize and seek treatment. To prevent ringworm and chilblains (when ringworm is installed between the fingers), the indication is always dry between the toes, avoid walking descaço in public places and seek treatment. Also on the list of major disturbances. “They arise due to friction and pressure on the feet caused by not suitable shoes or bone issues, such as the shape of the feet. To treat corns, the ideal is to exchange the shoe for a more appropriate model, not tighten the feet, so that there is no pressure on them. 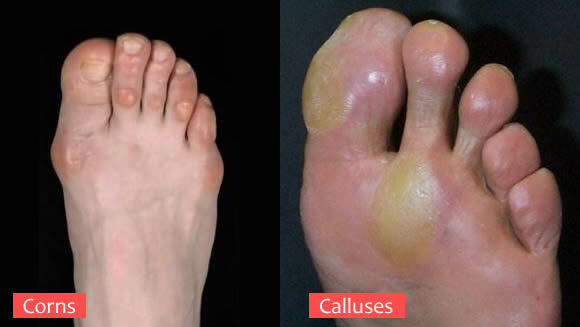 Visiting a reliable podiatrist, you avoid the risks caused by callus buffing done improperly, the use of a good moisturizer may return the elasticity and softness to the driest area also recommend using treatment with paraffin, which is not only indicated for dry but also for purposes other areas. After a good foot care, and of course the women were not without enamelling nails, but we must have some care, because besides beautiful, can cause some damage nails. Less aggressive nails because not stay long, lasts about two to three days and its removal and simple, can remove with nail polish remove . Women seek, the practicality and durability, which is two to three weeks depends on the care you have, because to stay longer on the nail, this procedure prevents the nail to breathe properly leaving it weak and brittle, and removal does not damage your nails always return the therapist applied as removing will incorrectly damage your nail, always recommend to clients that an interval between the application of gel Polish, this time use product keratina base to recover the nail. Gel and acrylic nails have similar results. They can lengthen short nails, strengthen nails, and make your fingers look longer and more slender. There are some pros and cons que might help you decide Which nail application to choose. Acrylic nail application Tends to cost less than nail gel application. They do not last the long and are less durable than acrylic, even though They trend to cost more. Most gel nails require UV light for curing, so they’re harder to of at home. If the nail gel breaks, you may be in for some trouble. It can sometimes be more of a shatter effect than a clean break, so self-fixing a break is not usually an option. You’ll need to make an appointment right away with your manicurist. While BOTH types of nails can be applied at home, application might be best left to a professional. Acrylic nail fumes may overwhelm you at your house, and without UV light, you will not be able to get gel nails to harden. As far as finishing touches, you can paint, you can do French tips, or create other designs on either type of nail. Some people think que airbrushing looks better on gel nails because They have a more glossy finish.